Users, call groups and SIP trunks are easily configured using a CSV file. 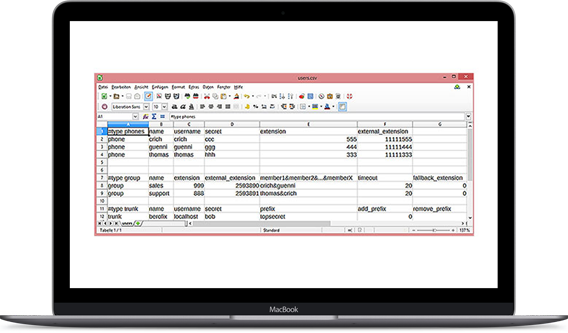 The structure of the CSV file is very simple, allowing it to be created and edited using a spreadsheet program such as Microsoft Excel. Alternatively, users can be exported from the main system as a CSV file and then imported into the SBA-App. This import can be done using the interface of the App. 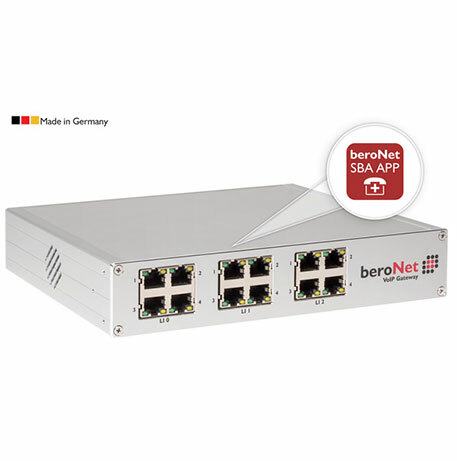 Once the App has been purchased for a beroNet VoIP device (PCI Card, SBL or Gateway), it can be easily installed from the beroNet Market via the web interface on the Gateway. Alternatively, the SBA-App can also be pushed to the Gateway via the beroNet Cloud. In case of a failure of the central PBX the SBA-App takes over rudimentary telephony features. 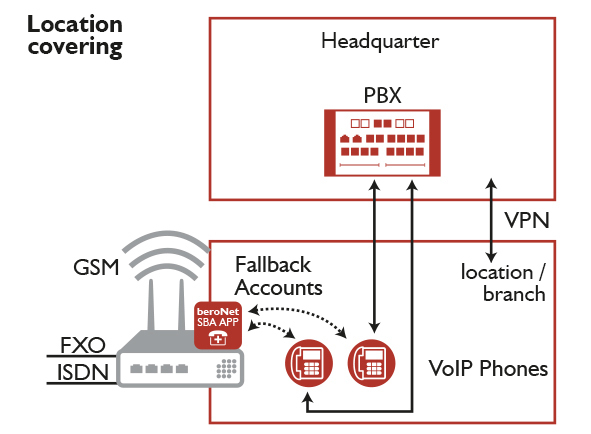 If the connection to the cloud PBX breaks, the SBA-App jumps in as local replacement PBX.